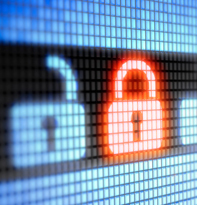 Are you worried about the security of your company’s data? Do you wonder if your customer list or financial information is safe from hackers or security breaches? ANP can manage your Firewalls, Virtual Private Networks (VPN), Intrusion Detection Systems (IDS) at an SSAE16 certification level. Let ANP provide life cycle support to all of you perimeter and internal security systems. Advanced Network Security Technology -- To detect suspicious network activity. 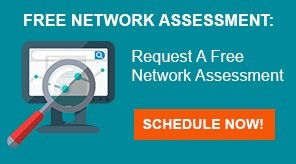 Trained Network Security Professionals -- To interpret the activity and take steps to protect your network from attack. The result? Your IT infrastructure is secure and security issues are resolved faster and more accurately. 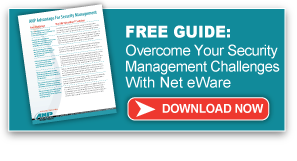 Net eWareSM for Network Security Management offers a fast and cost-effective way of managing and monitoring for intrusions on your network, supported by the expertise we’ve developed over a decade of IT security management. Data Security -- Your security infrastructure, firewall and intrusion protection sensors are monitored every minute of every day. Remote Monitoring -- Any problems are fixed quickly and remotely, with guaranteed response times. Trained Technicians -- Certified security engineers work with you to better understand your environment, provide you with a customized solution and make sure there is no adverse impact on the security or availability of your network as a result of any updates or change requests. Timely Information -- You’re always kept in the loop -- security health and service ticket reports are sent to you weekly. Reports such as “most common attacks,” “understanding the threat source” and “impact rating analysis” illustrate the realities of network security, as well as what you are doing to protect the environment. When it comes to network security, it pays to be prepared.